Harry Eastburn, Jr. has been involved with the sport of ballooning since 1982. 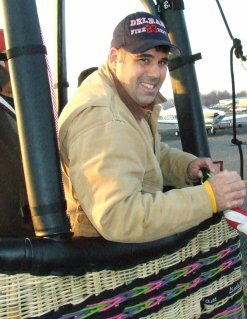 He has been a licensed balloon pilot and instructor since 1991. Harry has flown all over the Mid-Atlantic states as well as parts of Canada. Do you still have questions or would you like further information about Harry Eastburn's experience and qualifications?